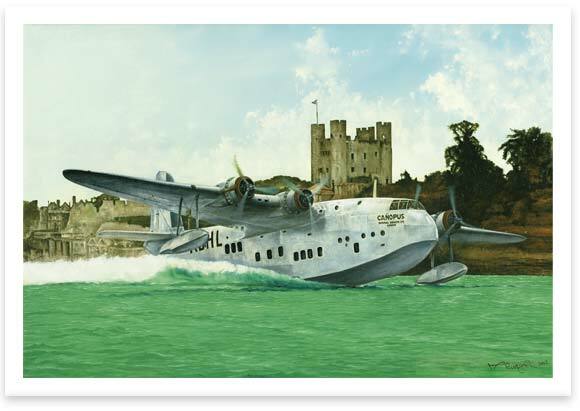 Mark Littlejohn's new print features the Imperial Airways flying boat "Canopus" on its 1936 maiden test flight on the river Medway with the dramatic backdrop of Rochester castle. The Short Empire was a passenger and mail carrying flying boat, of the 1930s and 1940s, which flew between Britain and British colonies in Africa, Asia and Australia. It was manufactured by Short Brothers and was the precursor to the more famous Short Sunderland of World War II.